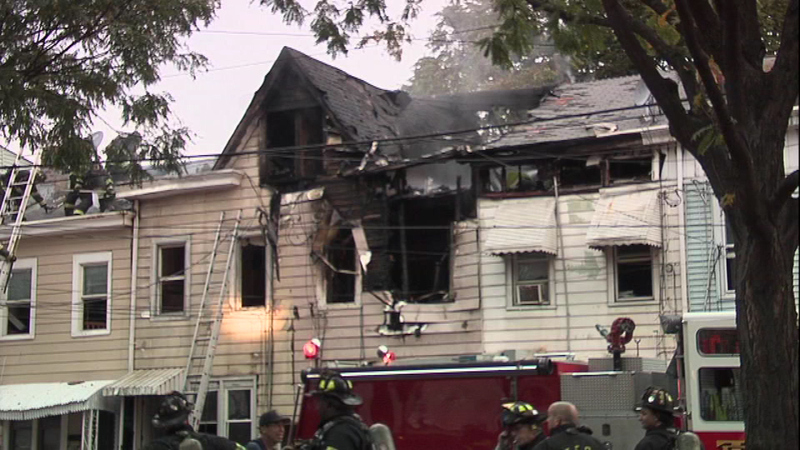 Fire crews battled a stubborn blaze that left five homes damaged in Trenton, New Jersey. 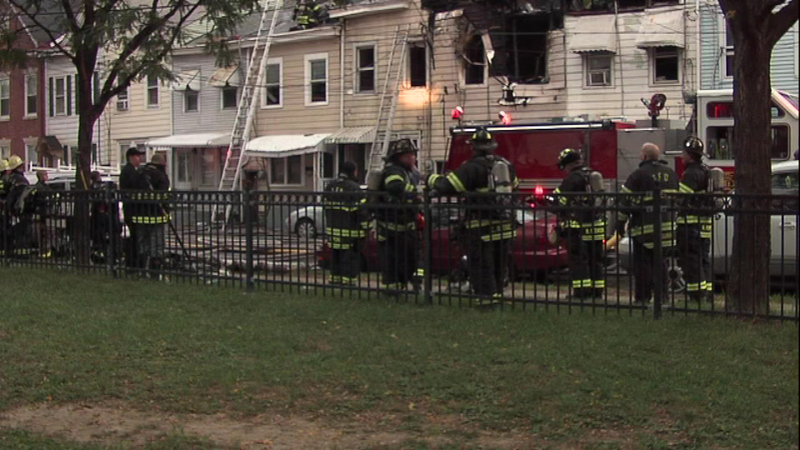 TRENTON, N.J. -- Fire crews battled a stubborn blaze that left five homes damaged in Trenton, New Jersey. 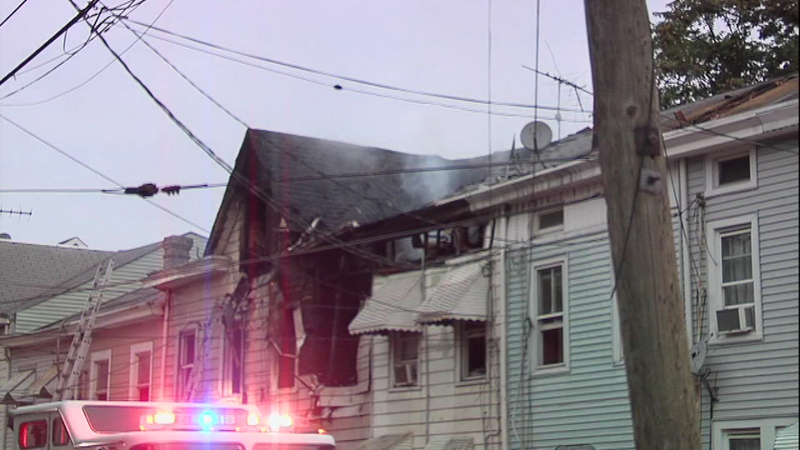 The fire started around 5:20 a.m. Saturday on the 100 block of Home Avenue. 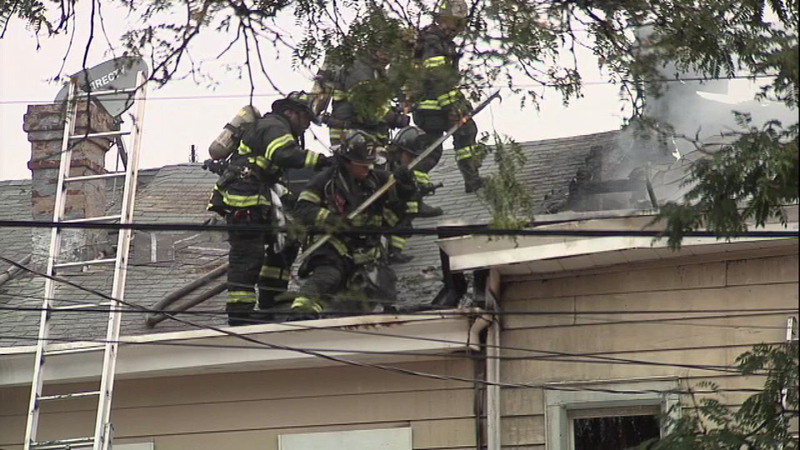 Officials say heavy smoke and flames were shooting from the upper floors when crews arrived. 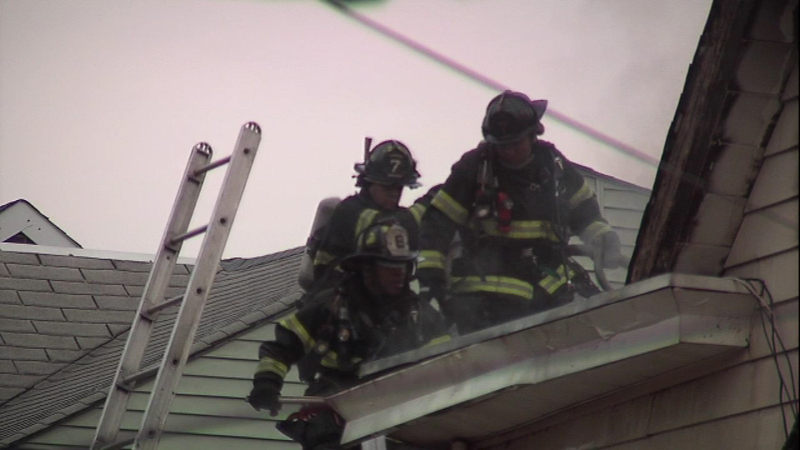 Firefighters quickly called in a second alarm, and then a third. 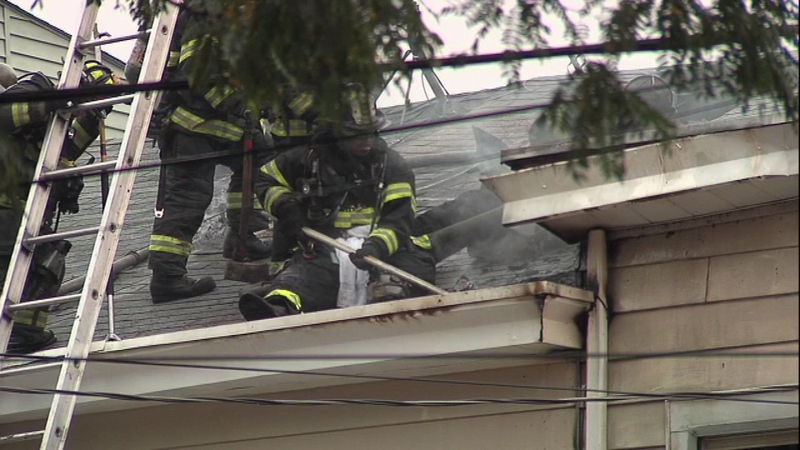 Crews managed to get the fire under control, but had to put out several hot spots. 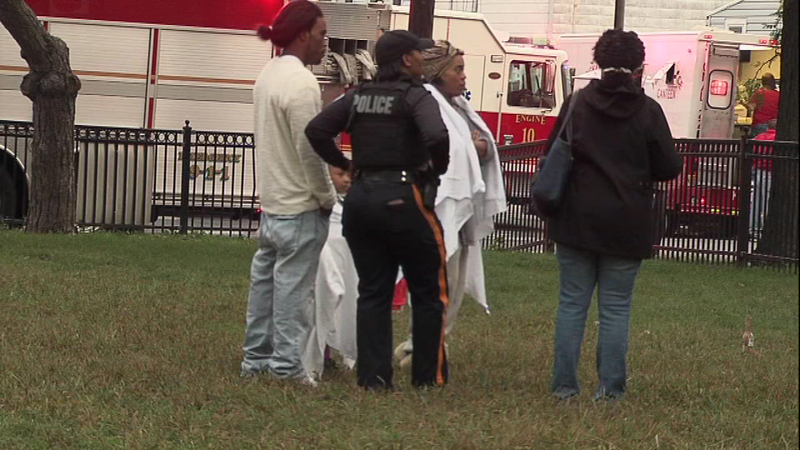 The Red Cross is helping three families who were displaced. They are providing temporary housing, food and clothing. 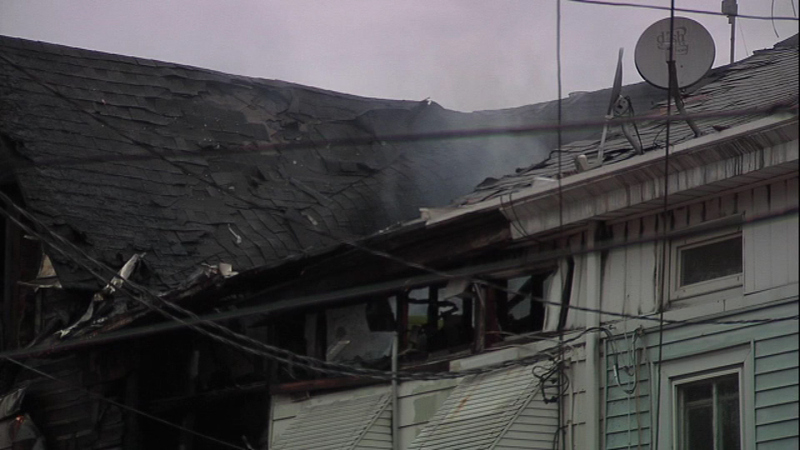 There is no immediate word on what caused the blaze.